Western blot analysis of HeLa (lane 1), 293T (lane 2), and Jurkat (lane 3) cell lysates probed with Mouse anti peroxiredoxin 5 antibody, clone 3F11 (MCA6026). 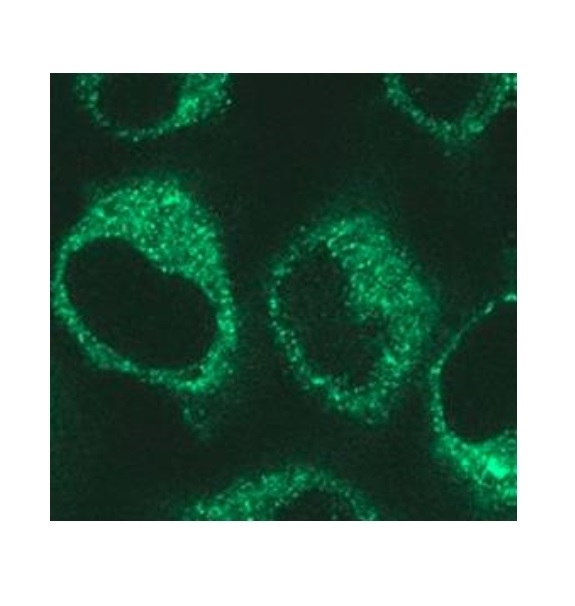 Immunofluorescence staining of HeLa cells using Mouse anti peroxiredoxin 5 antibody, clone 3F11 (MCA6026). 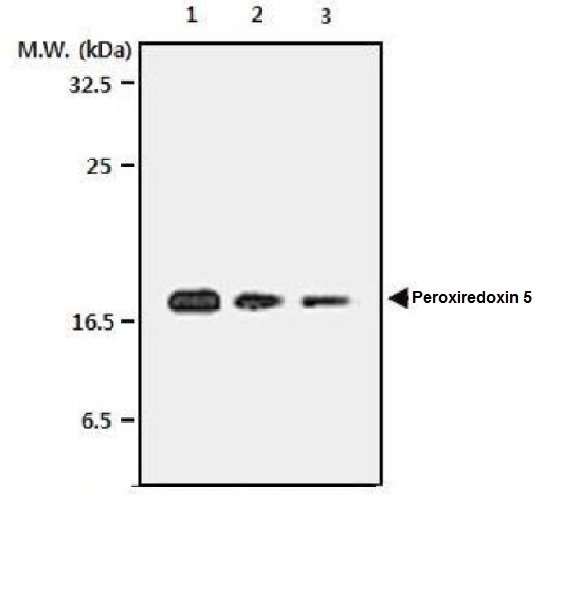 Mouse anti peroxiredoxin 5 antibody, clone 3F11, recognizes peroxiredoxin 5 also known as alu co-repressor 1, antioxidant enzyme B166, liver tissue 2D-page spot 71B and thioredoxin peroxidase PMP20. Peroxiredoxin 5 is predominantly localized to the mitochondria but other isoforms have been reported to localize in the cytoplasm and peroxisomes (Knoops et al. 1999). Recombinant human peroxiredoxin 5 fragment protein (without mitochondrial leader sequence) purified from E.coli.